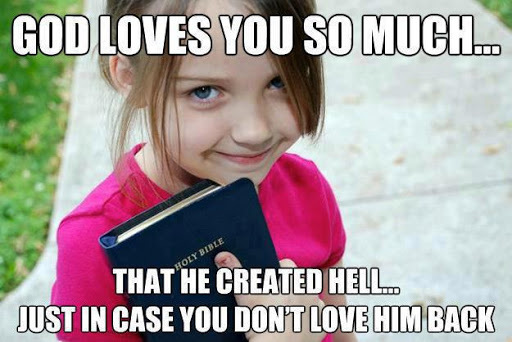 …god loves you so much…! that you can die of hunger: there is no mana from heaven…! …god loves you so much…! that you can die of hunger: there is no manna from heaven…! “””George Frederick Thomson Broadhead Only that they are a good social activity of generally good things! With imaginary Bible talk! Is there any other place like this? George Frederick Thomson Broadhead Fantastic! So much love and so much “divine justice=hate” with Hell and the Lake of Fire! TOO MUCH CONTRAST! PLEASE FREE US ALL FROM SUCH FABLES OF FALSE LOVE AND FALSE HOPES! As of 2006, the United States was believed to maintain an arsenal of around 9,960 intact warheads, of which 5,735 were considered active or operational, and of these only a certain number were deployed at any given time. These broke down into 5,021 “strategic” warheads, 1,050 of which were deployed on land-based missile systems (all on Minuteman ICBMs), 1,955 on bombers (B-52, B-1B, and B-2), and 2,016 on submarines (Ohio class), according to a 2006 report by the Natural Resources Defense Council. Of 500 “tactical” “nonstrategic” weapons, around 100 are Tomahawk cruise missiles and 400 are B61 bombs. A few hundred of the B61 bombs are located at seven bases in six European NATO countries (Belgium, Germany, Italy, the Netherlands, Turkey and the United Kingdom), the only such weapons in forward deployment. The United States has considered withdrawing these nuclear weapons. According to one source, the quantity of the B61 nuclear bombs is 200 in five of the six countries (excluding the United Kingdom), including 80 bombs deployed at the Incirlik Air Base in Turkey. Around 4,225 warheads have been removed from deployment but have remained stockpiled as a “responsible reserve force” on inactive status. Under the May 2002 Treaty on Strategic Offensive Reductions (“SORT”), the U.S. pledged to reduce its stockpile to 2,200 operationally deployed warheads by 2012, and in June 2004 the Department of Energy announced that “almost half” of these warheads would be retired or dismantled by then. A 2001 nuclear posture review published by the Bush administration called for a reduction in the amount of time needed to test a nuclear weapon, and for discussion on possible development in new nuclear weapons of a low-yield, “bunker-busting” design (the Robust Nuclear Earth Penetrator). Work on such a design had been banned by Congress in 1994, but the banning law was repealed in 2003 at the request of the Department of Defense. The Air Force Research Laboratory researched the concept, but the United States Congress canceled funding for the project in October 2005 at the National Nuclear Security Administration’s request. According to Fred T. Jane’s Information Group, the program could still continue in 2006 under a new name. In 2006, the Bush administration also proposed the Reliable Replacement Warhead program and initiated its design and development. The program, intended to produce a simple, reliable, long-lasting, and low-maintenance future nuclear force for the United States, encountered opposition due to the obligations of the United States under Article VI of the Nuclear Non-Proliferation Treaty, which the United States has signed, ratified, and is bound by, and which obligates the five nuclear weapons states who are bound by it (of which the United States is such a state) to work in good faith towards nuclear disarmament. The Reliable Replacement Warhead was designed to replace the aging W76 warhead currently in a life-extension program. It was to incorporate a well-tested and verified primary SKUA9 and a new fusion secondary. The device would be built much much more robustly than its predecessors and should require longer periods between service and replacement. It will use insensitive high explosives, which are virtually impossible to detonate without the right mechanism. The new insensitive explosives can hit a concrete wall at Mach 4 and still not detonate. The device would also use a heavy radiation case for reliability. Since this weapon will supposedly never be tested via detonation, as has every weapon presently in the US arsenal, some fear that either the weapon will not be reliable, or will require testing to confirm its reliability, breaking the moratorium that has been observed by the recognized nuclear powers (the recognized nuclear powers include the US, Russia, the UK, the PRC, and France; they do not include the generally recognized but undeclared Israel, nor the declared but unrecognized India, Pakistan, and North Korea) and was disliked by several elements of the Bush Administration, who believed nuclear tests ought to be conducted routinely; indeed, the Reliable Replacement Warhead was seen as the first step in the implementation of the US nuclear weapons laboratories’ plan, called “Complex 2030”, to rebuild dismantled nuclear weapons infrastructure so as to ensure that nuclear weapon design continues to be a field of research in the US through the midpoint of the 21st century. In 2005 the U.S. revised its declared nuclear political strategy, the Doctrine for Joint Nuclear Operations, to emphasize the possibility of the use of nuclear weapons preemptively against an adversary possessing weapons of mass destruction or overwhelming conventional forces. Whether the Single Integrated Operational Plan (“SIOP”) has been revised accordingly is uncertain, but possible. U.S. nuclear warhead stockpile, 1945-2002. The United States is one of the five recognized nuclear powers under the Nuclear Non-Proliferation Treaty (“NPT”). As of September 2009 it possessed 5,113 warheads operationally deployed, in active reserve, or held in inactive storage. This figure compares to a peak of 31,225 total warheads in 1967 and 22,217 in 1989, and does not include “several thousand” warheads that have been retired and scheduled for dismantlement. In 2009 and 2010, the administration of Barack Obama declared policies that would invalidate the Bush-era policy for use of nuclear weapons and its motions to develop new ones. First, in a prominent 2009 speech, U.S. president Barack Obama outlined a goal of “a world without nuclear weapons”. To that goal, U.S. President Barack Obama and Russian President Dmitry Medvedev signed a new START treaty on April 8, 2010, to reduce the number of active nuclear weapons from 2,200 to 1,550. That same week Obama also revised U.S. policy on the use of nuclear weapons in a Nuclear Posture Review required of all presidents, declaring for the first time that the U.S. would not use nuclear weapons against nonnuclear, NPT-compliant states. The policy also renounces development of any new nuclear weapons. The Obama Administration, in its release of the 2012 defense budget, included plans to modernize, as well as maintain, the nation’s nuclear weapons arsenal. At the start of 2012, eight states possessed approximately 4400 operational nuclear weapons. Nearly 2000 of these are kept in a state of high operational alert. If all nuclear warheads are counted—operational warheads, spares, those in both active and inactive storage, and intact warheads scheduled for dismantlement—the USA, Russia, the UK, France, China, India, Pakistan and Israel together possess a total of approximately 19 000 nuclear weapons. The availability of reliable information about the nuclear weapon states’ arsenals varies considerably. France, the UK and the USA have recently disclosed important information about their nuclear capabilities. In contrast, transparency in Russia has decreased as a result of its decision not to publicly release detailed data about its strategic nuclear forces under the 2010 Russia–USA New START treaty, even though it shares the information with the USA. China remains highly non-transparent as part of its long-standing deterrence strategy, and little information is publicly available about its nuclear forces and weapon production complex. Reliable information on the operational status of the nuclear arsenals and capabilities of the three states that have never been party to the 1968 Non-Proliferation Treaty (NPT)—India, Israel and Pakistan—is especially difficult to find. In the absence of official declarations, the publicly available information is often contradictory or incorrect. All estimates are approximate and are as of January 2012. All five legally recognized nuclear weapon states, as defined by the NPT—China, France, Russia, the UK and the USA—appear determined to remain nuclear powers for the indefinite future. Russia and the USA have major modernization programmes under way for nuclear delivery systems, warheads and production facilities. At the same time, they continue to reduce their nuclear forces through the implementation of New START, which entered into force in 2011, as well as through unilateral force cuts. Since Russia and the USA possess by far the two largest nuclear weapon arsenals, one result has been that the total number of nuclear weapons in the world continues to decline. The nuclear arsenals of China, France and the UK are considerably smaller, but all are either developing new weapons or have plans to do so. China is the only one of these states that appears to be expanding the size of its nuclear forces, albeit slowly. “flatten” all sources and origins! to the North American Continent! again or in the equal capabilities! be it, by whatever means! have all strategy in their “minds”…? economies, of the survival of the fittest! Toronto Sun for this Sunday 28April2013! 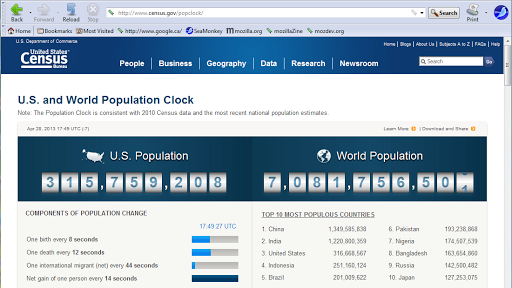 …new population clock…! 81million more since 7Billion…! Already a new country in this World of 81Million, like the UK or other! From the limit line of 7Billion…! …utterly impressive, and nearly “beastly”…! TOO MANY HUMANS…! 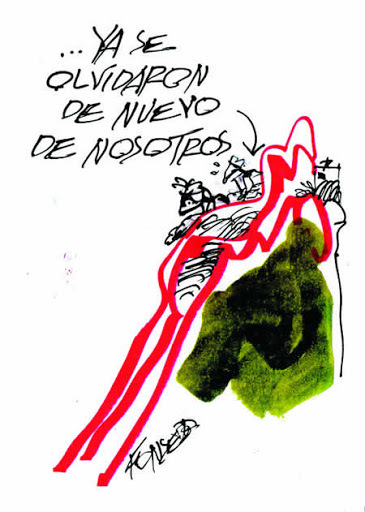 And driven by Capitalists needs, to the big big dipper downfall depression…! Capitalism “normally” is based upon bonanza and crisis…! THE RICH IN THEIR “BUBBLE WORLD OF HEAVEN HERE” DO NOT PERCEIVE THE WORLD GOING TO SHAMBLES AROUND THEM…! …fonseca 1 & 2 for this Sunday [Day of the Sun][Domingo]…! 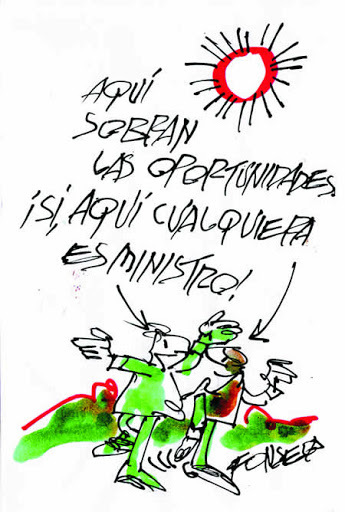 Venezuela: the opportunities are abundant. Yeah, anybody here is a Minister! 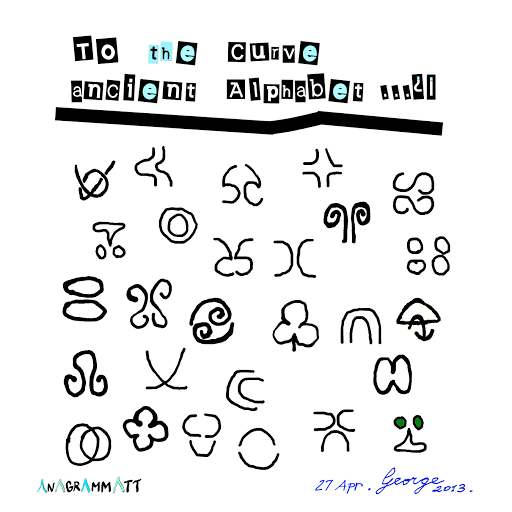 …anagrammatt 27 apri 2013 – my ancient curve alphabet…! …"5" real good ones, does not take away "1" or "more" real bad ones…! it must be "druggy" logic…! TO MY “5” GOODS AND, “MORE THAN 1” REAL BAD HUMILIATIONS AND TORTURE, IN CANADA! …a mere info 2, and your torture track record of mental health illegal detentions! 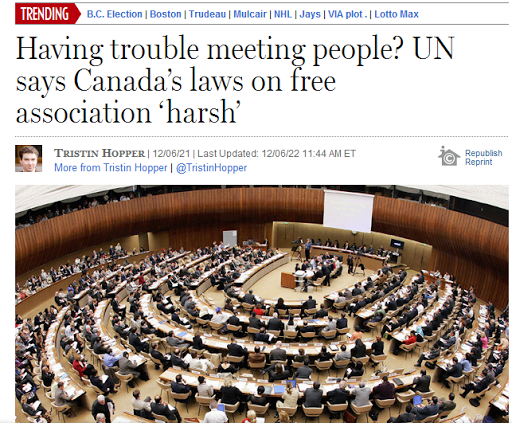 i will proceed to forwards more than a rim of paper [500pgs] to the UN…! i lack to request my files of the last 2 absurd cases since 2010…!